Night at the Derby!!! | Junior League of Syracuse, Inc. 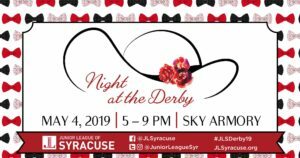 The Junior League of Syracuse would like to sincerely thank the Sponsors for this Night at the Derby Event!